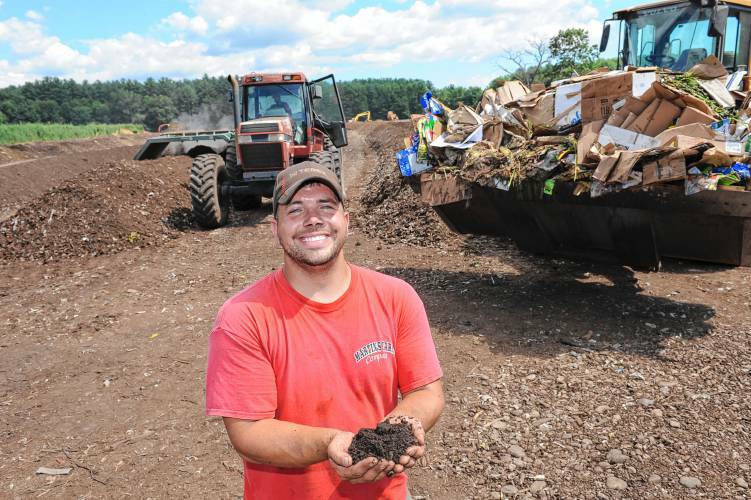 DEERFIELD – The town’s Selectboard has given its blessing to taking up municipal composting. 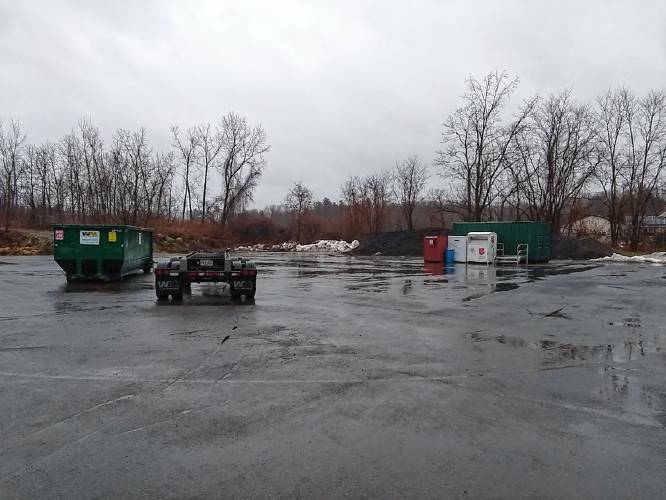 Kevin Scarborough, the superintendent of public works, explained to the board Wednesday that the plan is for food waste that would normally go in the trash to be brought to the Deerfield Transfer Station on Lee Road. It would be placed in an enclosed container that will be emptied weekly, with the contents brought to Martin’s Farm in Greenfield by Triple T Trucking. Scarborough said Triple T will charge about $90 a month for weekly pickup, and a one-time $85 fee for delivery of the 2-cubic-yard dumpster that will be used. Pickup would cost Deerfield roughly $1,080 a year and the town can expect about $700 in reimbursement from the state Department of Environmental Protection. This would result in a net gain for Deerfield because the town will send less garbage to Covanta Springfield LLC for incineration, which Scarborough said costs Deerfield $81 per ton. “Not only are we saving dollars but …” Selectboard member Carolyn Shores Ness started to say at Wednesday’s meeting. “(We’re) saving the environment at the same time,” Scarborough finished. Ness and Selectboard Chairman Henry “Kip” Komosa said this seems like a great idea. Selectboard member Trevor McDaniel was not present at Wednesday’s meeting. The plan is to begin the arrangement by May 1. Scarborough said Triple T will clean the Dumpster at least twice a year, and will stop by upon request. “But I’ve got no problem with being able to just go ahead and give it a quick wash-down in the summertime,” Scarborough said. Resident Bruce St. Peters said the idea sounds like a “no-brainer,” though he is concerned about flies near the Dumpster. 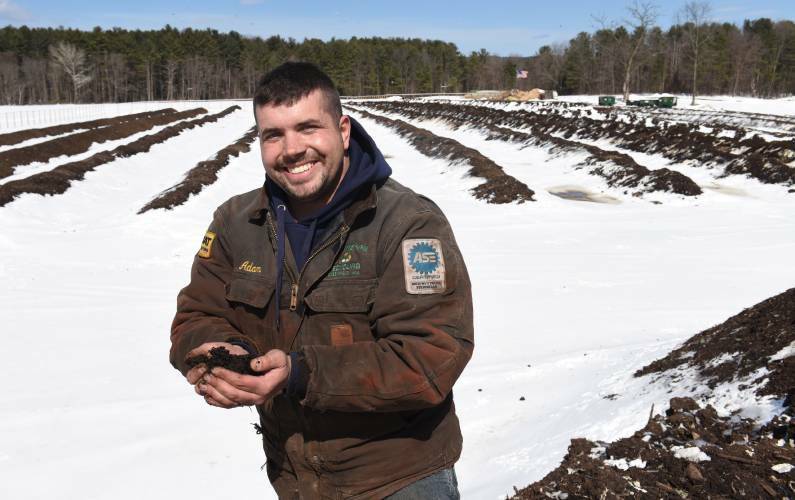 But Deerfield Energy Resources Committee member Laurie Boosahda, who was sitting in the audience behind Scarborough, said putting leaves or dirt on top of the compost can resolve that problem. 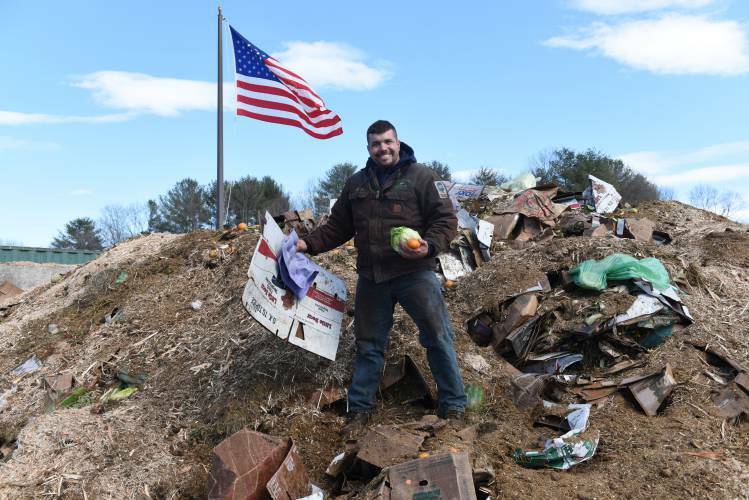 Amy Donovan, program director at the Franklin Regional Solid Waste Management District, said the compost brought to Martin’s Farm will be ground up, turned regularly for three to five months, cured and sold. She said 20 private and public schools in Franklin County send compost to Martin’s Farm. She explained the same will be true for 10 Franklin County towns by the end of the spring. Donovan said the benefit to this program is that the municipality can accept many items unacceptable for residential backyard composting. Compostable items will include meat, bones, fish, cheese, eggs, pasta, rice, coffee, paper filters and tea bags as well as all fruits, vegetables and bread. Martin’s Farm will also take soiled pizza boxes, paper bags, wooden utensils, and napkins and paper towels that have no chemical or cleaning residue on them. Items not accepted will include trash, plastic bags, plastic wrappers, metal, glass, liquids, pet waste and cat litter. Fliers pertaining to the composting program are expected to be available at Town Meeting on April 29. Reach DomenicPoli at: dpoli@recorder.com or 413-772-0261, ext. 262.